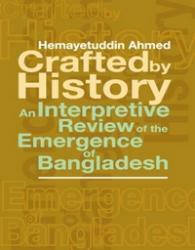 This is an unconventional interpretive review of the struggle for democratic rights in the history of Bangladesh. The book explores the urge and yearnings among the Bengal Muslims to seek refuge in its thousand year old cultural heritage and traditions. It is not meant to be a scholarly discourse by an academic or a historiographer but a young activist-turned journalist’s orderly account of the eventful days that led to the rise of Bangladesh as a sovereign nation-state to make its people again a free and living entity after a lapse of about six hundred years through the twists and turns of history. The writer depicts the events he experienced and got involved in the prime of his life, and interprets them with felicity that comes off easily like the heartbeat of a sensitive soul. It makes this slim volume a consummate study of contemporary history with a life-time of experience drenched by unbiased inner feelings.